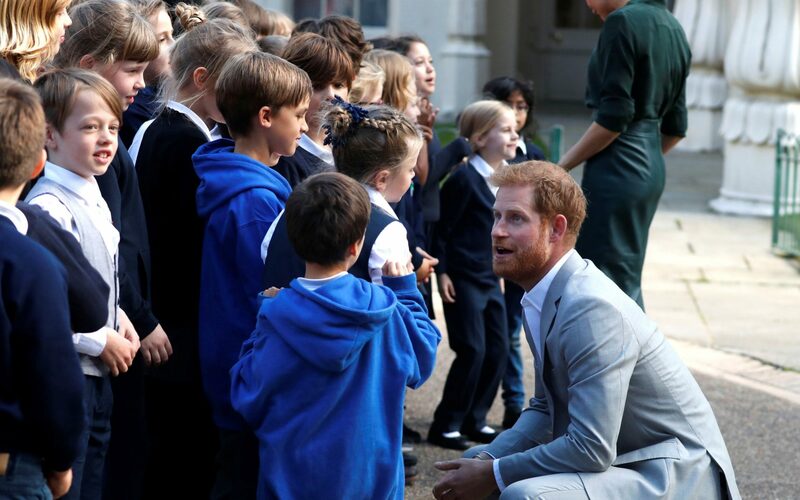 Harry and Meghan were flourished with hugs and happy cheers as the kiddos excitedly met the royal couple. The royal couple visited the NSW regional city for a morale-lifting visit. The pregnant royal - who announced on Monday that she and Prince Harry were expecting their first baby next year - cooed over Higgins' nine-week-old daughter, Luna, who was nestled safely in her mum's arms. She reportedly spent last night making the treat at Admiralty House. 'You are vital to this country. you have a lot to be proud of, ' Prince Harry told the crowd.Meghan held an umbrella over Harry's head as he delivered his speech. It didn't stop them waving their union flags. "Hopefully the next time we see you, we'll have our little one with us", Markle told Dunne. It's a natural fit for Prince Harry, who has made championing the cause of veterans one of his principal causes. They had a flawless start to their 16-day visit to Australia, Fiji, Tonga and New Zealand in Sydney on Tuesday. "I am shaking, it was incredible, I am speechless", Sovanah said afterwards.